We are fortunate for the generosity of Clark Library in allowing us to use some of their space for our archives. It has proven to be an asset for us both. In 1979 funds were raised for the “new” building, which presently houses both the library and our archives. The past twenty nine years has taken its toll on the building. Things begin to wear out. As a result there have been a number of challenges to the staff in its maintenance. Eleanor Smith, one of the founders of the Richmond Historical Society (and mother of our archivist), left us a mountain of newspaper clippings. 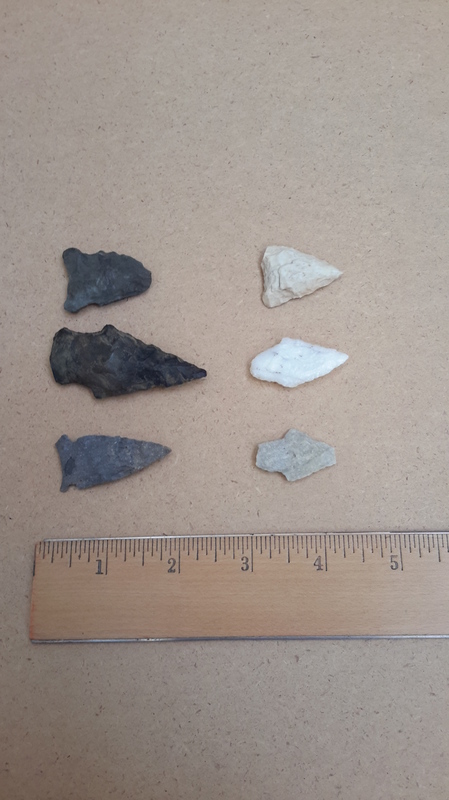 It is an ongoing project to sort through these. She is pictured here in 1987 commemorating a special anniversary at the library. In 1990 we have a captioned news photo of volunteers getting ready for a book sale. These continue to be part of Clark’s fund raising. During one of those quieter days when there was time for “the clippings”. 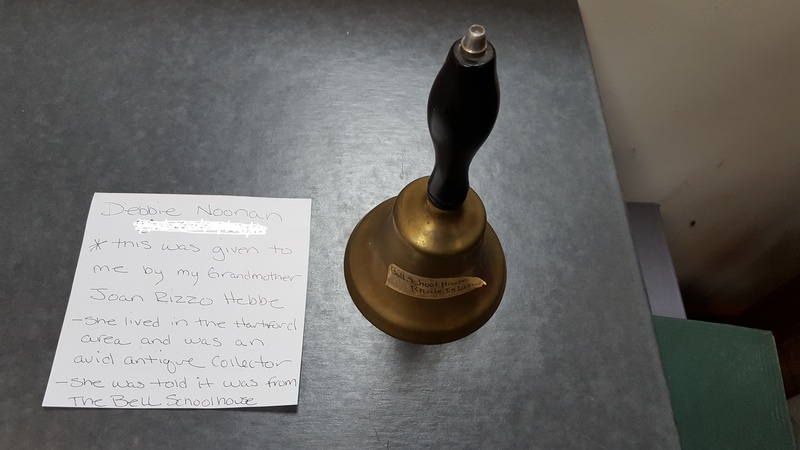 To my amazement, one was a youthful picture of one of our archivists doing a project at the library in 1992. Now is a good time to both recognize and thank our benefactor, Clark Library, and to share part of our genealogy. 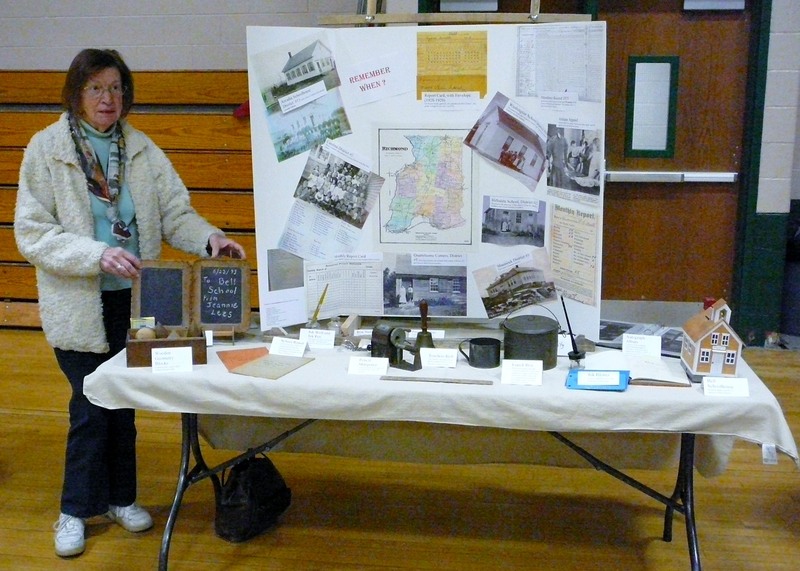 Pat and Betty agreed to represent the Historical Society by participating in Career Day at the Chariho Middle School on May 29. 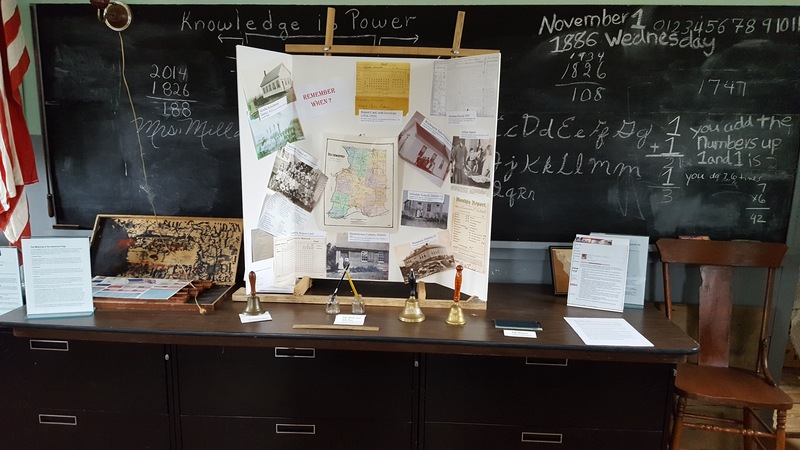 The theme of our exhibit was what school was like in the past.